Members of the House of Representatives, yesterday, rejected a motion seeking the removal of fuel subsidy regime by the incoming Gen. Muhammadu Buhari administration. 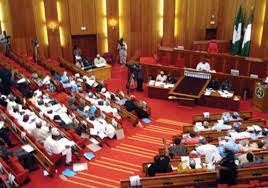 The motion promoted by Rep Sunday Karimi, entitled: “The recurring crisis of fuel subsidy” was killed by the lawmakers. He called for a “permanent solution” to the lingering nationwide fuel scarcity while urging the Buhari administration to “muster the necessary political will” to end the fuel subsidy regime. “As we speak, PMS sells in most places at the rate of N120 and N150 depending on where it is available which is against the official pump price of N87,” Karimi said. Speaking in support of fuel subsidy regime removal, Deputy House Leader, Hon. Leo Ogor, said the regime had become a drain in the country’s economy and urged that government redirect fuel subsidy votes to other priority areas. Speaking in opposition to the motion, Rep Osai Nicolas Osai (Delta/PDP) said the motion’s timing was wrong and belated as the outstanding subsidy payment causing the fuel scarcity had been dealt with on Monday at a meeting between the finance minister and oil marketers. “I disagree with this motion, because it is coming very late and standing on a very weak premise. The issue involved has to do with subsidy payment. When the motion was put to a voice vote by the presiding Deputy Speaker, Emeka Ihedioha, the lawmakers rejected the motion.